FRESNO, California (KFSN) -- The Fresno County Sheriff's Office said they arrested Fernando Jimenez after authorities say the K-9 Kajo found him hiding under a blanket and bit him. Early Saturday afternoon, the Fresno County Sheriff's Office was called to a home on Whitesbridge near Rolinda Avenue for a possible burglary in progress. Deputies arrived to find a broken window and a bicycle outside the home. When deputies entered the home, Kajo alerted his handler that someone was inside the bedroom. Authorities say Kajo found 32-year-old Fernando Jimenez hiding under a blanket with a large kitchen knife. Kajo bit Jimenez' wrists, causing him to drop the knife, and deputies were able to move in and take him into custody safely. 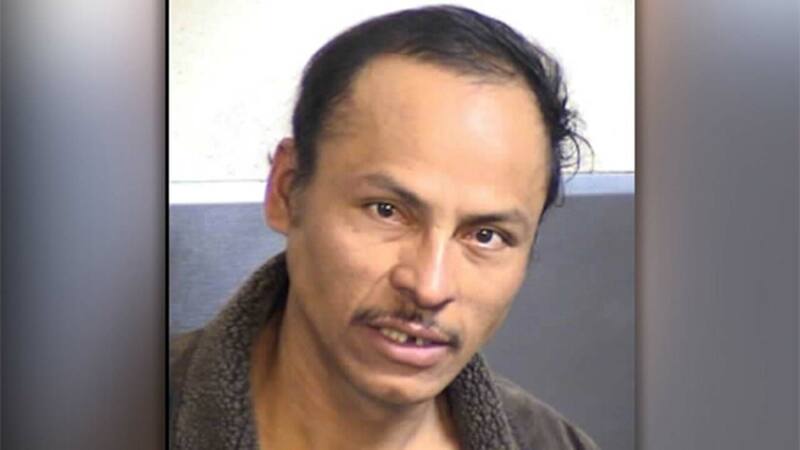 He was taken to the hospital for treatment and later booked into the Fresno County Jail. Deputies say they did not find any property had been taken from the home. However, they say Jimenez did get into the victim's refrigerator. He cooked a meal and drank a bottle of wine.